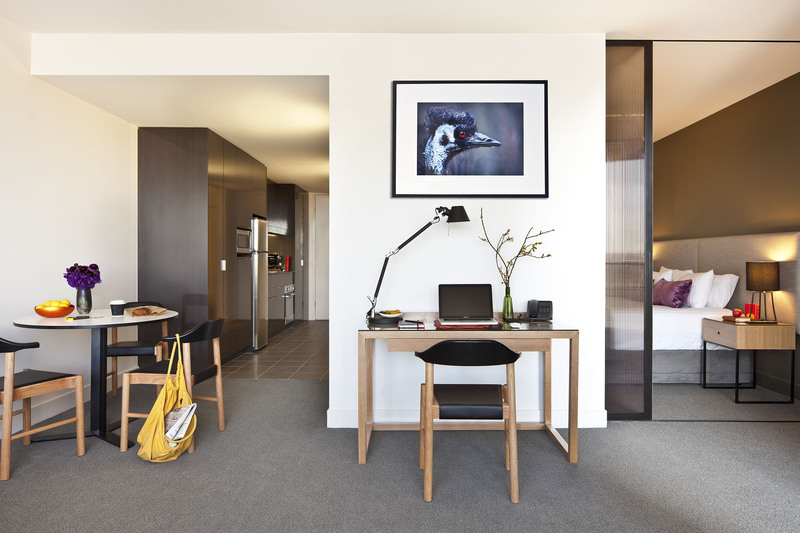 EAST Hotel has a boutique style that is just that little bit left of center and unexpected. 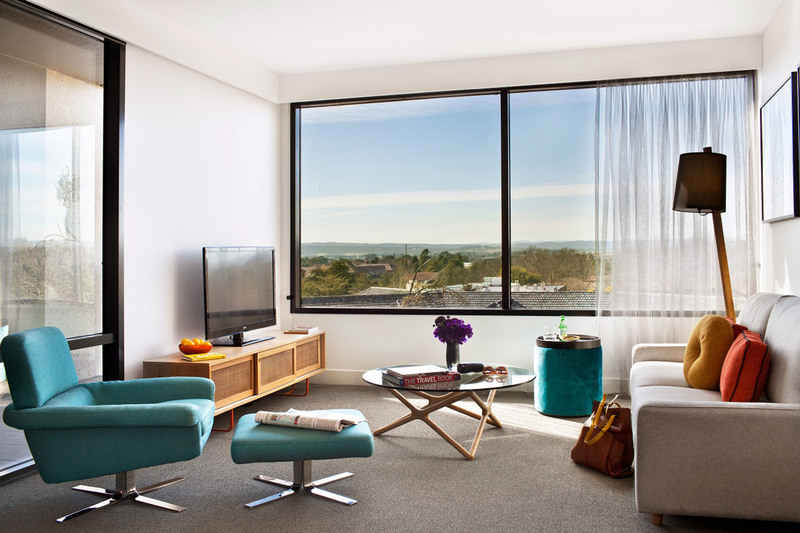 The 4.5-Star apartment hotel in the nation's capital is positioned next to the leafy suburbs of Manuka and Kingston along Canberra Avenue. 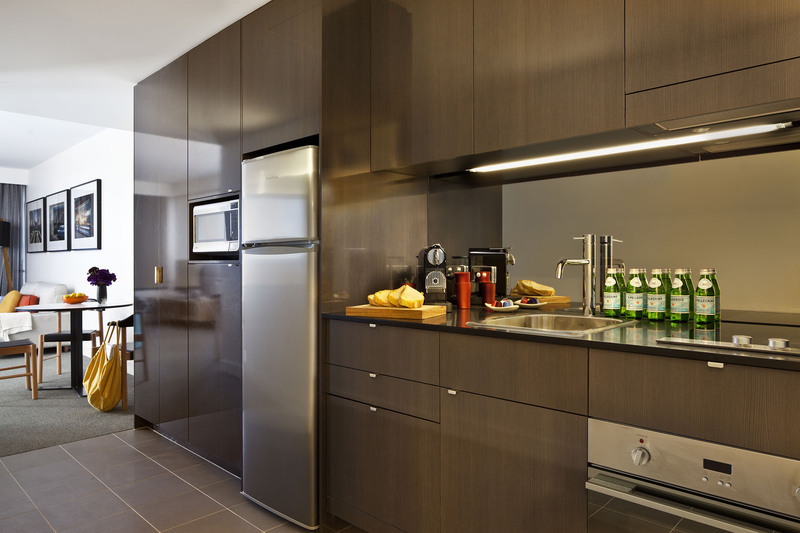 The six story development features 140 rooms, all generously sized with studio apartment configurations. East Hotel was designed as a stylish and modern space but at the same time family welcoming. 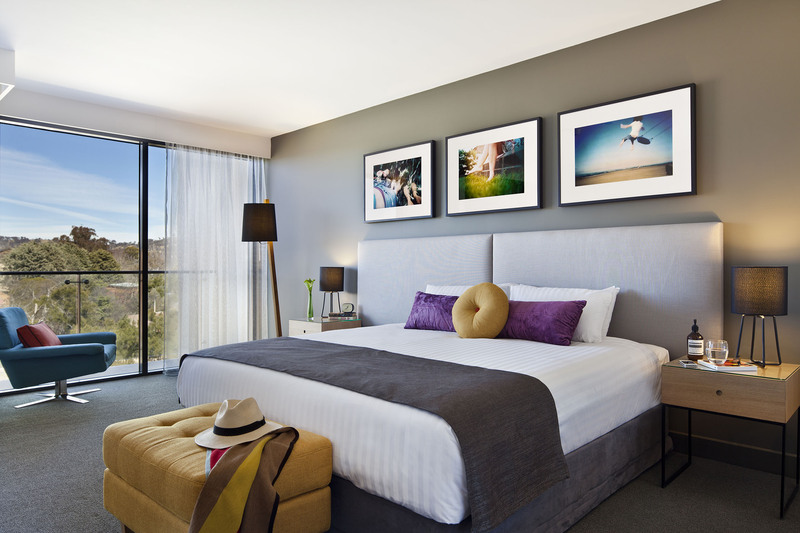 The comfortable atmosphere is housed by warm concrete finishes and spacious surrounds. 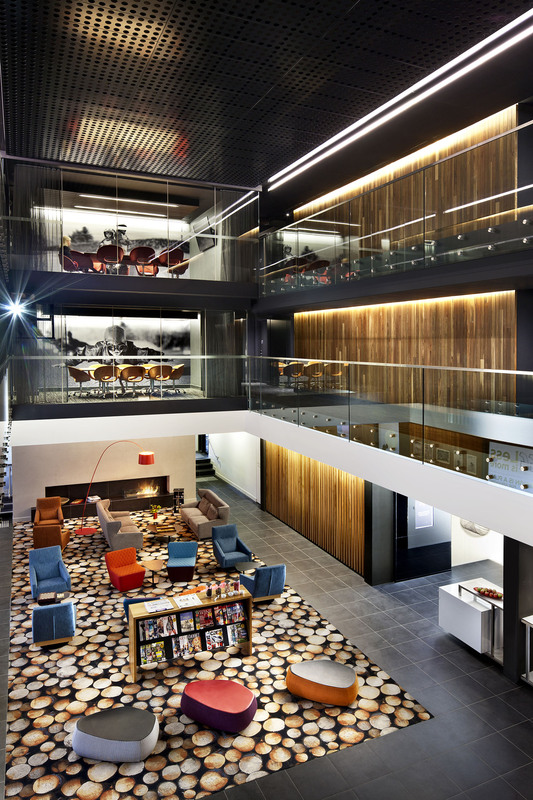 As you enter the lobby, the openness is complemented by glass and lighting to create a relaxed setting. A mixture of recycled timber and dark backgrounds enhances the bright and eccentrically modern interior finish. 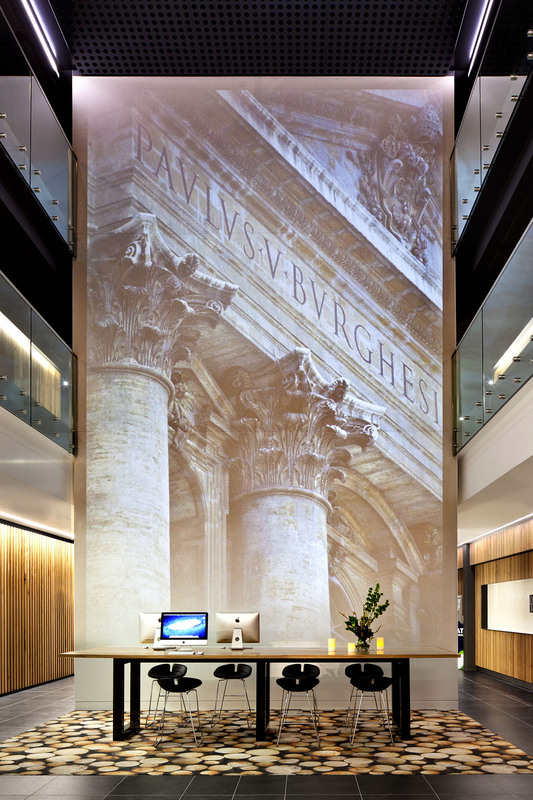 Art is a central feature of the hotel, as you enter the reception area your sight is caught by a towering wall, a canvas of inspiration projecting art installations. The internal walls are perfected by artworks from local artists enhancing the ambiance and atmosphere. The design has won awards in commercial architecture and interior design and the hotel itself has taken out national awards for best suite / Apartment / Hotel in consecutive years.